My inspiration is the beauty and intricacy of these flowers and the color of their silvery leaves. While visiting the Haleakala crater with a group of friends, I came across this silversword plant that was over ten feet tall. My inspiration is the beauty and intricacy of these flowers and the color of their silvery leaves. 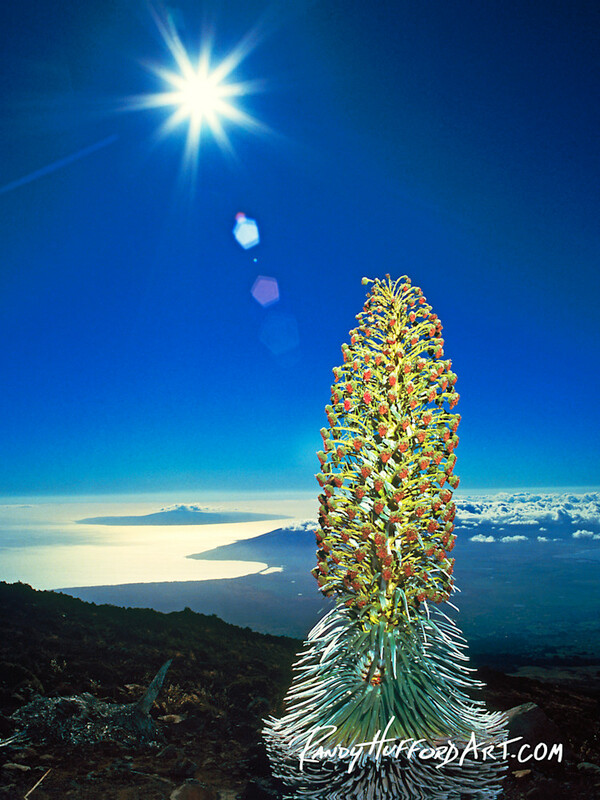 It takes seven years for a silversword plant to bloom. Once it blooms it then dies. Its whole purpose in life is to bring us beauty. To see a silversword plant is amazing, but even more amazing it to see one of this size and perfection with the weather just as majestic. This image also makes me think of a beautiful princess dressed in her royal gown looking over her kingdom.